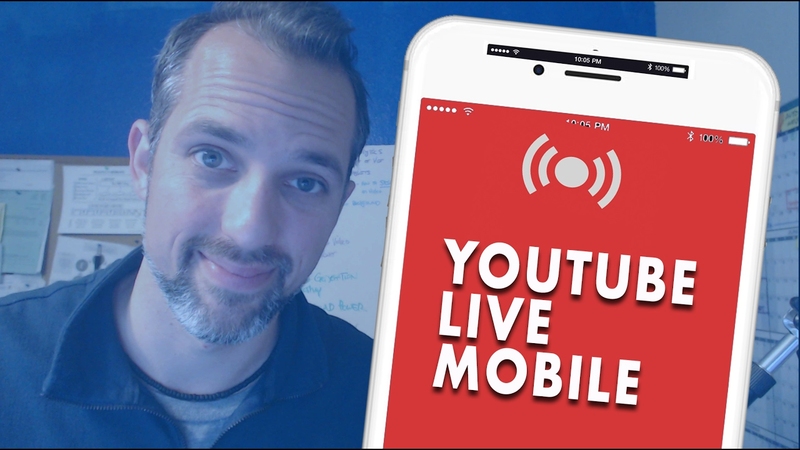 In response to Periscope and Facebook Live, YouTube now lets you livestream from your mobile device. Just push a button on your YouTube app and start connecting with your followers. YouTube has been livestreaming major events since 2011. It offered viewers a look at the Royal Wedding in 2011. Felix Baumgartner did his space leap on YouTube in 2012. Music lovers could watch Coachella in 360-degree glory this year. But it wasn’t until February that it opened the ability up to people with at least 10,000 followers. And in April, it reduced that number to just 1,000 subscribers. The mobile app for YouTube has a red button for livestreaming. The capture button is in the right corner of the app. Just select a thumbnail and start your live broadcast. Your fans can chat as they watch you. The chat bubble appears over the video so you can connect directly with your viewers. To make it easier for the presenter, chat messages are paced. This handy feature keeps you from getting overwhelmed with messages all at once. You can actually make some money out of this. With Super Chat, your viewers pay to have their comment pinned at the top of the window. It stays in place for up to 5 hours. For big fans, it’s an excellent way to make a splash. For presenters, it’s an easy way to make some extra cash. Just like other YouTube videos, you can search for interesting streams. Check other people’s reviews and playlists to find those most suitable. Some users are disgruntled that the service isn’t open to everyone with a YouTube account. But the company is worried about boring content clogging up their bandwidth. They figure that anyone who has managed to attract at least 1,000 followers has experience keeping people interested and entertained. The company is also late to the table with this capability. That means they are still getting the glitches out. Limiting the number now lets them clean it up without getting everyone angry. Another concern for any online platform is illegal content. YouTube is protecting its flanks by limiting livestreaming to people with an established channel and following. Account holders are much less likely to try something illegal if they can end up losing their channel.